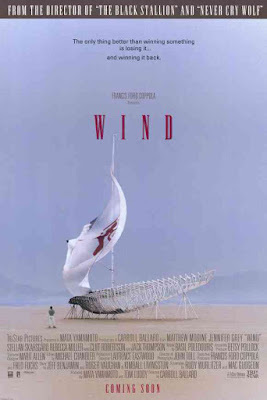 One of the reasons I like "Wind" (1992) so much is the story itself: A group of persons willing to invest extreme amounts of themselves, in order to achieve a common goal with different motivations. The film follows the raise and fall of a young, hopeful America`s Cup skipper (played by Matthew Bodine ) losing the prestigious cup to an Aussie team...of all people. Now a pariah in this closed and exclusive world, he goes looking for support at his former girlfriend. The same girlfriend (Played by a cute-as-hell Jennifer Grey ..graauww) lives and works in the Mojave Desert where she develops aircraft wings and fuselages, in a hangar together with other geeky science types. And there, far away from the ocean, they manage to develop a revolutionary type of hull and sail based on the design of a bug wing. 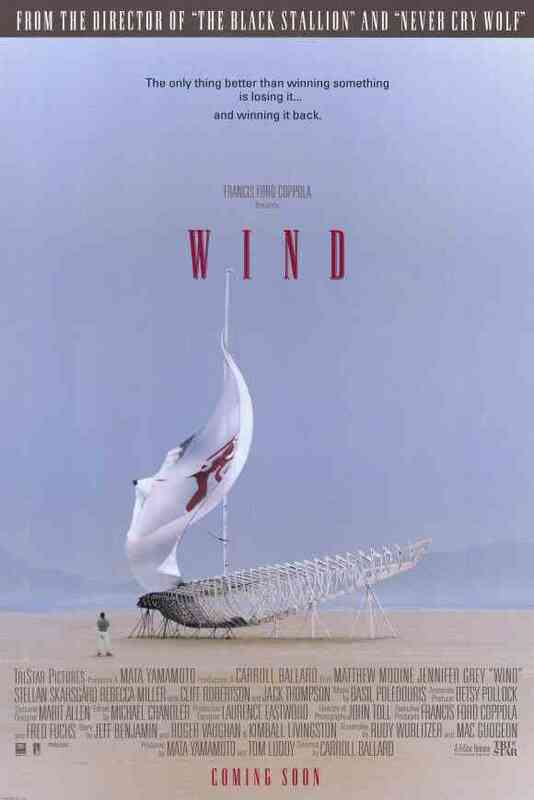 The story and the acting is great....the pictures and soundtrack even better. For me a perfect summer movie!